Developed to deliver full protection capability and comfortability, MINOLI Military Footwear meets the most extensive range of military operational demands from high intensity local ground dominance to international peacekeeping. 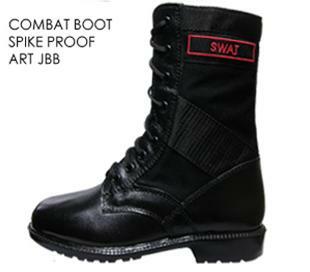 Unbelievable price on Military Footwear in Kuala Lumpur (Malaysia) company Sepatu Timur, Sdn. Bhd..
© Sepatu Timur, Sdn. Bhd.